This is absolutely divine. If you dig old stuff like me, this blog post is highly recommended. 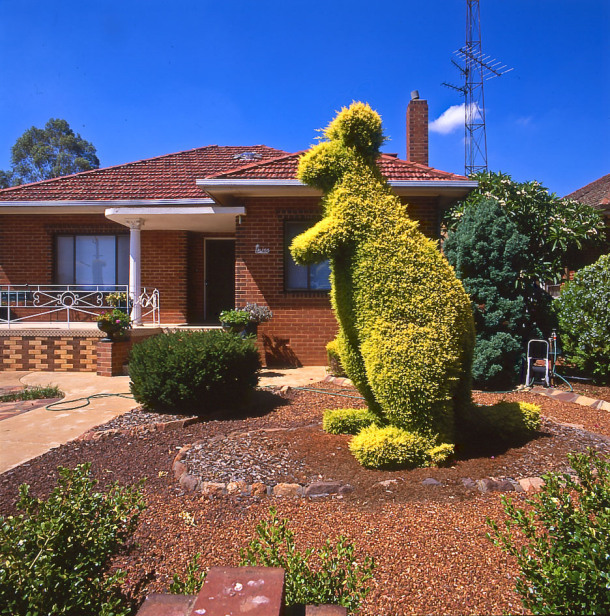 ANYONE who is into photographing suburban shrubs shaped into giant kangaroos is OK with the Seeker. You could even go so for as to say that this blog has been created with just such a connoisseur of the eccentric in mind. And on that note, let me introduce you to Mr Warren Kirk, 63, of Seddon, Melbourne. Warren is a self-confessed ‘technophobe’. He’s not on Facebook, Instagram or Twitter (although he does have a mean following on Flickr) and when I invite him onto the blog, he lets me know that he won’t be doing any interviews by email.